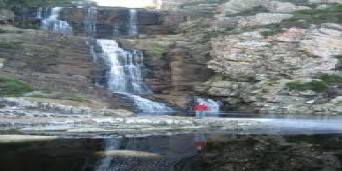 Misty Mountain Reserve nestles within the heart the Tsitsikamma. Experience the unique transformation from busy city life to the place of "many waters", as the Tsitsikamma is so aptly named by the Khoisan. The Tsitsikamma on the Garden Route, one of the world's most beautiful coastlines, harbours a delicately balanced marine ecosystem. Misty Mountain reserve borders with the famous Tsitsikamma National Park, the largest marine reserve in South Africa. Misty Mountain Reserve, easily reached in a one and a half hour drive from Port Elizabeth on the Garden Route, is situated 230m above sea level on the edge of a dramatic escarpment. Misty boasts uninterrupted, breathtaking views of the Indian Ocean, Tsitsikamma Mountains and indigenous forest. The beauty of the area, with our chalets nestled on the edge of the indigenous forest overlooking magnificent sea views, has enhanced our reputation as the perfect break away. Whether it's a family holiday, honeymoon, think tank or adventure breakaway, we will ensure to make your stay a most memorable one. 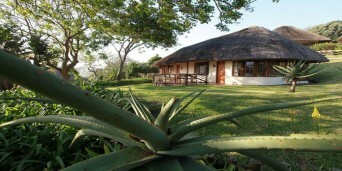 Our elegantly equipped wooden chalets offer a range of accommodation to meet all requirements: choose from Luxury, Superior and Family, each with their own unique style including spa bath (towels and guest amenities supplied), TV (DSTV), fire place, tea/coffee tray, bar fridge, safe and a welcoming glass of sherry. Braai facility. All chalets at the Misty Mountain Reserve have panoramic views of the Indian Ocean, Tsitsikamma Mountains and indigenous forest. Why not share your experiences and reviews with the community and write a review for Misty Mountain Reserve.